Monday is a word that instantly brings excitement or dread. Are you back from a relaxing weekend and ready to take on the world, or would you rather curl up under your desk and take a nap? 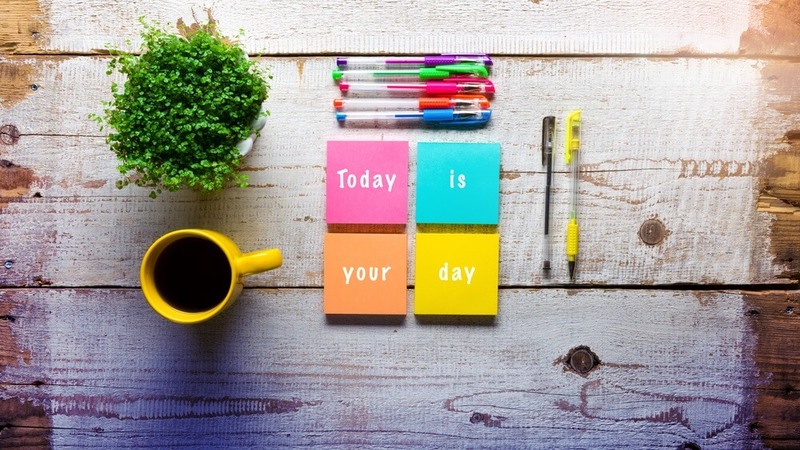 It can be hard to get back in the swing of things after the weekend, but it just takes a few simple actions for Mondays to be one of the most productive days of the week and set up the rest of your week for success. Wake up early. It’s probably the last thing you want to do after the weekend, but studies have found that people who wake up earlier are more productive and energized for the rest of the day. If you want to really shoot for the stars, try getting up at 4 a.m., which many people believe is the optimal productivity hour. 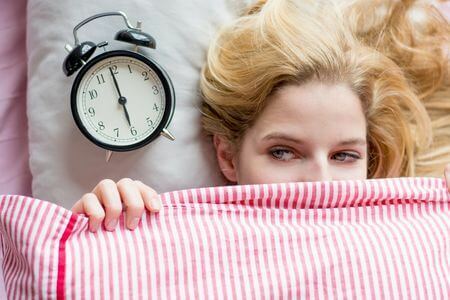 If you can’t pull yourself out of bed that early, even waking up 10-15 minutes earlier on Monday morning can give you extra time for a slow, relaxing morning and to get ready for the week ahead. Of course, waking up early also means you have to go to bed early, especially if you want to get the recommended eight hours of sleep. Make your bed. Turns out your mother was right—you really should make your bed. Taking just a few moments to make your bed and tidy up in the morning helps you feel productive and gives you a clean space for a clear mind. Experts even say that making your bed acts as a “keystone habit” that can lead to chain reactions for other good habits to stick. People who regularly make their bed also tend to be happier in their surroundings, have better attitudes, and have a stronger sense of well-being—all great things to come from something that only takes a few minutes. Visualize the day and week. What is the first thing you do when you wake up in the morning? For most people, it’s grabbing their phone and spending some time checking emails, reading the news, and scrolling through social media. But delaying your technology time can be great for the day ahead. Instead, take some time to wake up slowly by looking out the window, reading a newspaper, enjoying a cup of tea, or other calming activities. In those slow moments, think about the day ahead and what you hope to accomplish. Are there certain tasks that need to take priority? How do you want to feel at the end of the day? It is in those quiet early moments that our minds are often the clearest, which lets us visualize a productive day without distractions. Set daily goals and write them down to keep track of your progress. You can also plan out your week and decide what tasks to tackle each day of the week so you can make it through everything on your docket. Getting your body moving is a great way to get your brain firing on all cylinders. Find a form of exercise that you enjoy and that works in your schedule and try to do it at least a few mornings a week—anything from yoga to running will do. Exercising first thing in the morning gives you more energy and gets you going to make the most of your time and set the stage for an energized day. Plus, you can also enjoy the endorphins to make you happier throughout the morning. Set a time for emails. Nothing can put a strain on productivity quite like an endless string of emails, but they are a necessary evil of the modern world. Instead of getting sucked in with every email that arrives, set a time every morning to sit down and respond to emails that arrived over night. With email time marked on your schedule, you can take your time to work through each one without being pulled in multiple directions at the same time. Experts also say that working through email in batches is much more effective than reading them one at a time. Catch up on news. Informed people tend to be productive people. No matter if it is through a newspaper, Twitter, or TV, find a way that works for you to consume the news, and then set a time to do it every morning. Even just 10 minutes a day can let you know what is going on around the world and provide valuable insights that can be used in your life and business. Taking the time to catch up on news at the start of the day frees up time so you don’t get caught in developing news throughout the day. Tackle a big task. If you feel overwhelmed with what the week has in store for you or if you’re just having trouble getting your brain moving, choose one big item off your to-do list and tackle it first. There tend to be fewer distractions first thing in the morning, and your brain is more likely to focus better than it would later in the afternoon when events from the day have piled up. When you work on a big task in the morning, no matter how crazy the day ahead for you becomes, you know you have at least accomplished your most important task for the day. Everyone wants to have a productive and enjoyable week, and these tips can make it happen. Choose a few things to focus on in your life and watch as your Monday mornings are transformed. What are your Monday morning tips?